Bay Dental Associates: Aaron Moneyhan DMD, PA is a St Petersburg based family dentist practice that treats patients of all ages. 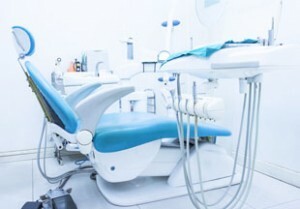 We are committed to delivering the highest quality dental care and do so using state-of-the art dentist equipment. We are a cosmetic dentist that offers services like Invisalign®, Veneers, Dental Implants, Teeth Whitening and more. 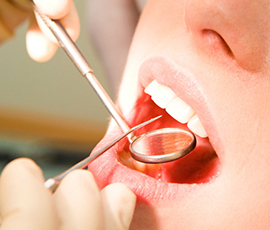 We also perform emergency dentist services that include root canals, crowns, sedation dentistry, and bridges. As a local dentist, we create lifelong relationships with our patients and their families and work to ensure that they receive treatments in a comfortable and relaxed environment. Dr. Moneyhan and our staff invite you to schedule an appointment by calling 727-823-2007 and experience why our patients think Bay Dental Associates: Aaron Moneyhan DMD, PA is the best dentist in St Petersburg. Dr. Moneyhan grew up in the Tampa Bay area. He completed his undergraduate studies with honors at the University of South Florida. After graduation he attended Nova Southeastern University School of Dental Medicine. Bay Dental Associates: Aaron Moneyhan DMD, PA is a local family dentist practice in the 33704 area. We work with patients of all ages and can treat children as young as one year of age. Our staff makes it easy to receive dental care by streamlining our appointment process, patients are in and out quickly. We understand that life is busy and as a family dentist we are proactive in making a trip to the dentist fun for the entire family. With a friendly staff, comfortable waiting room, toys and stickers, Bay Dental Associates: Aaron Moneyhan DMD, PA is a local destination that even the kids will enjoy coming to. We provide a variety of dental services to treat your family’s needs. This includes teeth cleaning, examinations, teeth whitening, root canals, veneers, cosmetic dentistry, Invisalign and more. If you live in the 33704 area stop by and meet our dentist. We are local, approachable, and make a trip to the family dentist enjoyable. Bay Dental Associates: Aaron Moneyhan DMD, PA is a veneers dentist office, serving patients throughout the 33704 area. We specialize in transforming ordinary smiles into something beautiful. Dr. Moneyhan uses dental veneers to turn back the clock and give patients the youthful glow that their teeth once had. Veneers can cover dark stains and yellow teeth, close gaps, straighten teeth that are slightly crooked, make teeth even in length, and create a perfectly bright natural looking smile. They are also used to restore teeth that have been cracked, chipped, or damaged overall. If you want to restore a tooth or improve your smile, visit a veneers dentist for expert level results that you can be proud to show off. To schedule your consultation, call 727-823-2007.